On Sunday, I may have had a little too much fun that made me feel sick the following morning. 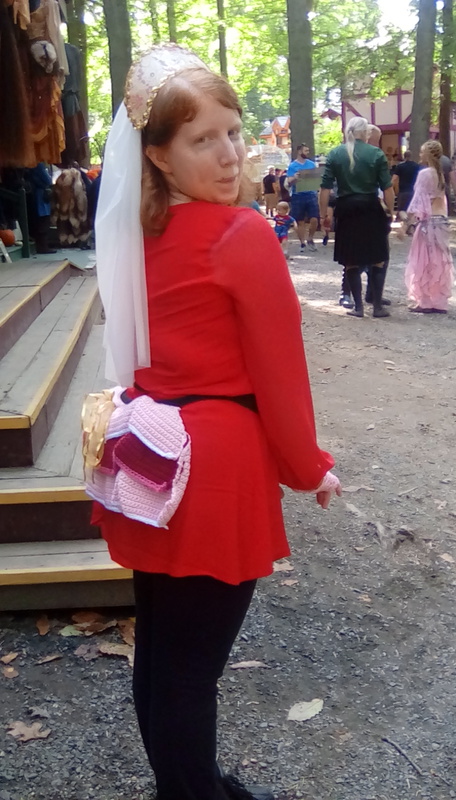 I didn’t drink too much at ye olde merriment fair (Maryland Renaissance Fair, held from September to middle of October each year), and I didn’t get too dehydrated. I just forgot to bring some bottled water in my bag, and though I tried to avoid as much acidic food as possible, I think eating a little too much that day made me sick. My mom said she looked like Anne Boleyn, the woman who persuaded King Henry to get rid of his wife, Catherine, and make her his queen. I didn’t think she had that semblance. The only difference between this year and last year is, we ordered our tickets online instead of waiting until the last week to buy our tickets at the door. 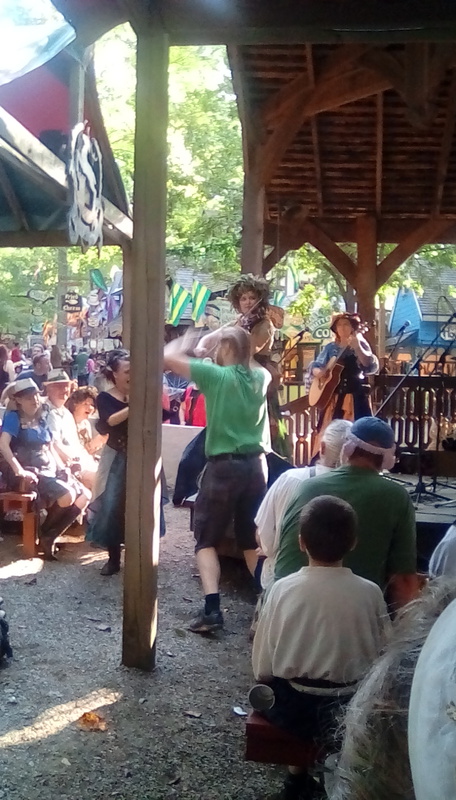 If you remember Ren Fair last year, I said that we missed it because we waited too long to get tickets, and as soon as we arrived at the fair, the tickets were sold out that entire week. 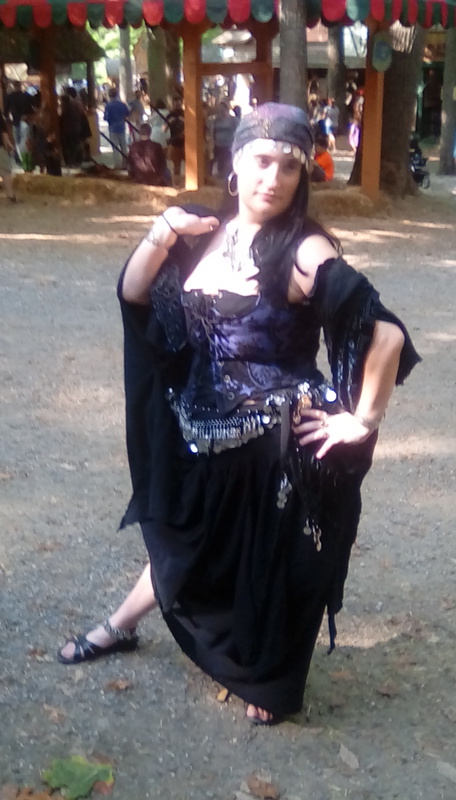 And two years ago, when I did manage to go to fair with Kerensa and her man, I was still single and miserable, wishing I had a gallant knight or another swashbuckling pirate with us to romance me. I didn’t care if I couldn’t spend too much money that day. 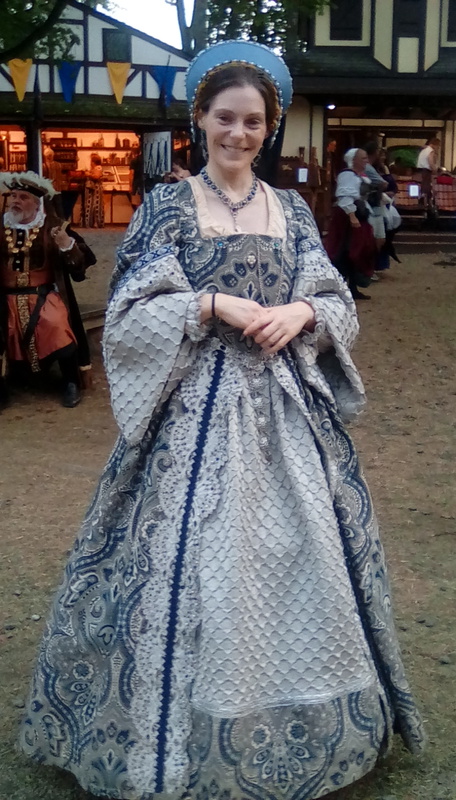 I did want a bodice or my first corset or even a pretty dress fit for a faire maiden, but I knew those were expensive and I couldn’t buy one. All I cared about was having Anthony next to me that entire day. 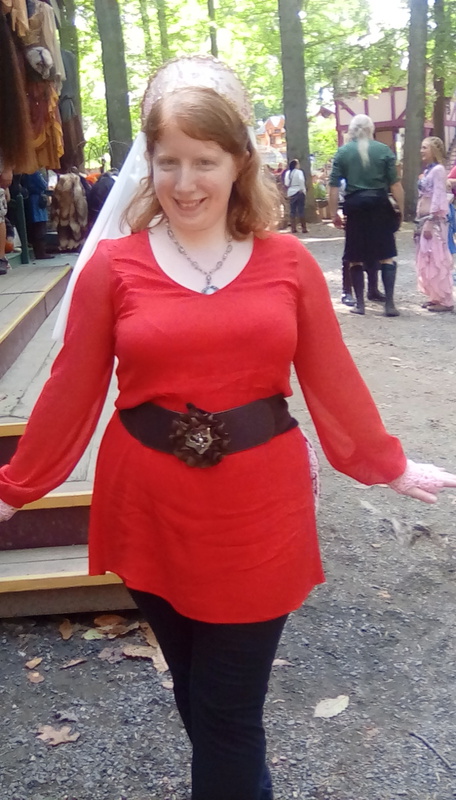 There were some people in costume, but I decided to go in my most comfortable red dress and some added crochet embellishments. I most recently designed and made a pink and scarlet tie on bustle out of Caron Simply Soft yarn and a pair of fingerless lace gauntlets out of pink crochet thread to match, and for a while, I looked lovely. I added the very Renaissance maiden hat I bought from Tall Toad hatters and Kerensa said I looked gorgeous. She might have been a little tipsy when she said that I was gorgeous, I will say that. But it was the Ren Fair, and every now and then, it’s not a crime to sample some mead. I drank a “bee sting” at the fair, which was pretty tasty from the mead and Angry Orchard cider I recognized right away. Anthony had a “snake bite”, which was a combination of mead and beer (customer’s choice), and he chose a filling stout. We took pictures outside the Bullseye shop where Kerensa bought her new purple bodice that went perfectly with her black gypsy garb before getting a couple drinks. I was also very dizzy that day, which I confused with drunkeness, and it was possibly because I had been sweating all afternoon, I had low sugar in my blood, and I was dehydrated. Anthony and I had been trying to save our money without buying a whole lot at the fair, but we found that the idea of buying nothing was a mistake. One of the bands that played outdoors at the fair, where they did a silly parody of a celtic song, only they were making fun of it by talking about a moose. And everyone had moose antlers. Also, they made fun of the audience- no prisoners were taken. I should have brought my own water. Water bottles did cost $2 at the fair, so it wasn’t so bad. We ended up getting a couple of snacks (meat pie for him, spinach pie for me, and some cookies and cheesecake on a stick) and buying water to help us stay cool in the warm, humid weather. 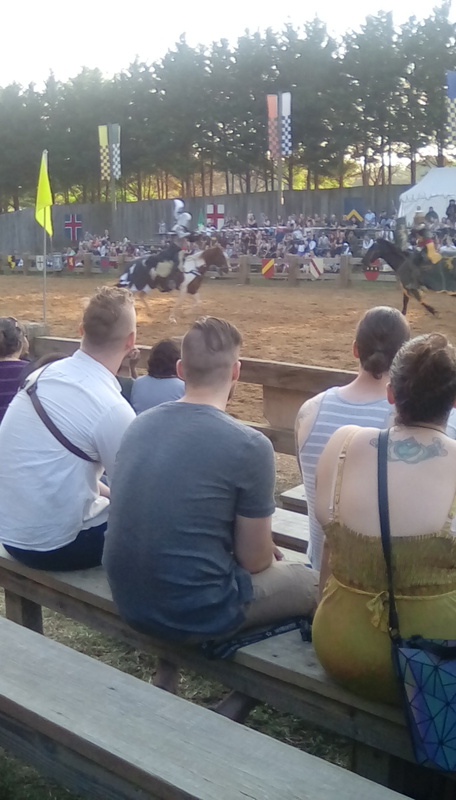 We saw an amazing joust, the last one of the day, where the winning knight kissed the princess in his victory. There were some people in costume, including some people I recognized from Balticon (I was surprised to see Ruth from WTC at the photo booth where people borrow costumes to have their pictures taken). I didn’t get to see any of my dad’s friends from the Boogie Knights, unfortunately, though it would have been nice. Did I mention that my dad used to be a Boogie Knight? Yes, my dad was Syd De Vicious and my mom was Melissa of Manchester. Know what the Boogie Knights called me after I was born? Rachel the Fair. I honestly wanted a name like Hayley, Paramour of William, for my love of the rock band Paramore, but I guess that previous name stuck. I didn’t know that was my honorary Boogie Knight name until now. I remember my first words I said in a Boogie Knights song, the parody of Schoolhouse Rock’s “Interjections”. “Crikey! That’s the end!” Imagine a little red haired girl, two and a half/ three feet tall in her favorite Cinderella dress, saying that with a British accent. Cute, right? You get the idea. I was made to be such a dork. And a pretty cute nerd. This entry was posted in Authors, Blog, Conventions, Fiction, Inspiration, Literature, Memoirs, Nerd, Reading, Science Fiction, Writing, Writing Therapy and tagged Lady in the Blue Box, Maryland Renaissance Fair 2017 Nerd Queen, Maryland Renaissance Fair sold out, Nerd Queen at Renaissance Fair, Rachel Beth Ahrens, rachel beth ahrens fiction and more, Rachel Beth Ahrens Renaissance Fair, rachel beth errands, rachelbethahrens, The Nerd Queen. Bookmark the permalink.